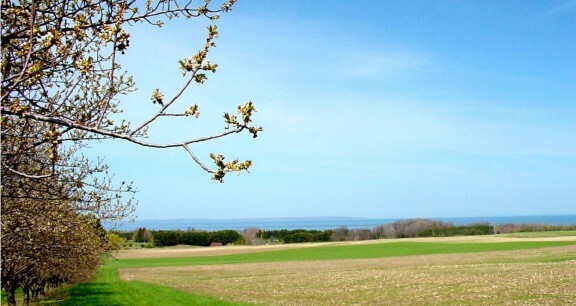 Take a couple of conservation-minded landowners, partner them with the Leelanau Conservancy, add member-supported and federal dollars and voila! Instant farmland preservation, right? Well, not exactly. The excitement has been building for months now about preserving the Newton Farm in the Gills Pier area—the site of our 2004 Annual Friends Picnic. What’s the news? The word is fabulous—the deal is done and the Newton Farm is preserved forever! But like many major conservation projects, the road was a twisting and winding one. Here’s a brief, behind-the-scenes look at how it all unfolded. 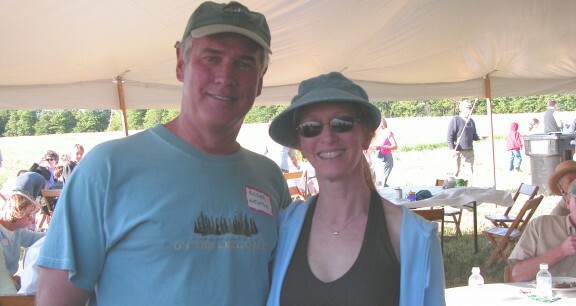 Roger and Coco Newton, long-time Conservancy members, took a leap of faith in 1999 by purchasing nearly 100 acres of prime farmland overlooking Manitou Passage in order to help keep this critical agricultural area intact. A long series of discussions then ensued about how to best preserve the farm, with a decision in 2002 to apply to the federal farmland program to fund half of the cost the purchase of development rights—valued at nearly $550,000. The Newtons generously agreed to donate over one-quarter of that figure with the Conservancy poised to fundraise for the remaining amount. 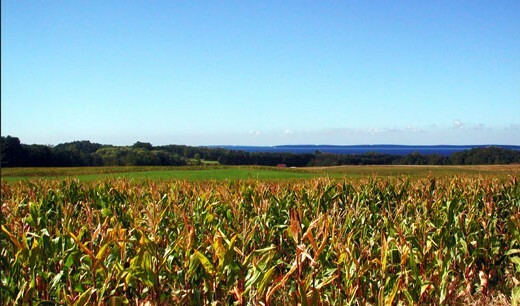 A conservation plan was created for the farm, an option to purchase the development rights was drafted and signed, an appraisal and survey were prepared and a perpetual agricultural and conservation easement was negotiated and approved by the federal government. All that was left to do was to raise the money necessary to complete the deal. All set, then? Nope. It’s well-known in the land conservation field that conditions frequently change in midstream while working out the details of conservation projects, and they did so in this one. The federal regulations for farmland projects changed dramatically between the preliminary federal approval on the Newton Farm and the target date to ink the deal. So, there we were again, renegotiating the terms of the easement, which in turn affected the appraisal values and the conservation plan, both of which had to be redone. And, the new terms, new appraisal and new conservation plan altered the physical boundaries of the easement, necessitating a new survey. Naturally, it took several months to accomplish all of these changes! We think you’ll be happy to hear that despite all of the additional work and expense, the frustration and the delays, the Newton Family’s faith and conviction that this historic farmland must be preserved never wavered. And neither did our faith in them. 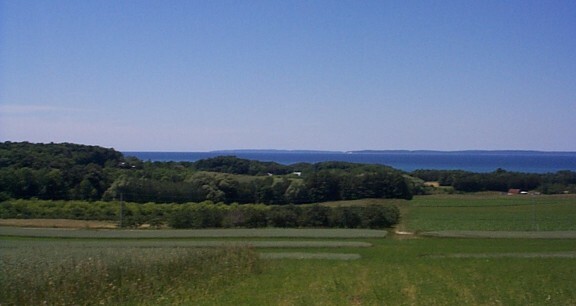 Three cheers for the Newtons and for all of us who will happily enjoy the spectacular view of the Manitou Islands from Jelinek Road in Gills Pier for all time.